My name is David G. Clark. I was born and raised near Chicago in northwestern Indiana. 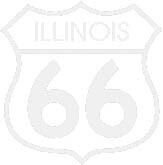 My mother was from the northwest side of Chicago, and my father was from Joliet, so I guess Route 66 was in my blood! 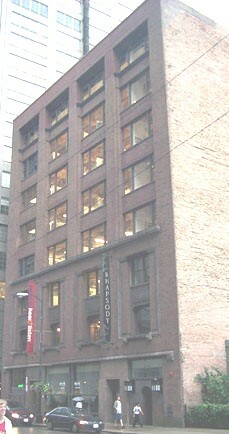 I moved to Chicago in 1980 and by 1982 I was working as a parking garage manager on Adams Street (westbound 66). I met my future wife, Carol, who worked in the bank in the same building, and on our first night out after work we went to several watering holes along Adams. Ours was a Route 66 romance, even though we did not know it at the time! Carol was a native Chicagoan, and when we fell on hard times in the early 1990s and could not afford to travel for vacation, we decided to start exploring Chicago as if we were tourists. What better way to save money on vacation than spending time in your home town, acting like a visitor? Thanks to our love of the Chicago Historical Society, the Chicago Architecture Foundation, and the Art Institute, we became well-versed in area history. It was at the Chicago Historical Society that we bought Michael Wallis's great book, Route 66: The Mother Road, and Route 66: The Highway and Its People by Susan Croce Kelly and Quinta Scott. Both were released around 1992, which was the 66th anniversary of the Mother Road and the other original US Highways. But with all our varied interests, the books remained on the shelf while life went on. 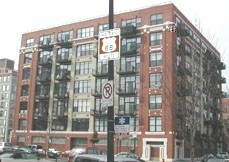 In December 1998 we moved into our current home, a unit in a loft conversion condominium building located on Adams Street in the West Loop Community area of Chicago, in a neighborhood known as Greek Town. We noted with interest that a sign outside the building indicated that Adams was Historic US 66. So now we were living on the Mother Road! Over the next sixteen months, I started looking into the books I had already owned for six years, and I did some web searches to find information. Swa Frantzen's marvelous website, www.historic66.com gave us the directions we needed to take our first road trip in March 2000, on St. Patrick's day weekend. Many more trips followed, and as of May 2003 we could say that we had driven all of the road from Chicago to Los Angeles. 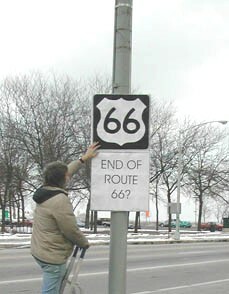 In January 2002, I realized by reading Tom Teague's Searching for 66 that January 17th of that year would be the somber 25th anniversary of the day when Illinois' last US 66 sign was taken down. The route had been decommissioned in Illinois and Missouri, and the last sign was at the eastern terminus, in Chicago's Grant Park. I decided to go out to Jackson Street near Lake Shore Drive and commemorate the anniversary by righting that wrong--by putting a 66 shield up again in Grant Park.